Those of you who have viewed volumes 1 & 2 of my seminar series of DVDs will know I was assisted on some of the demonstrations by Matthew Miller. Matthew has trained with me on a one-on-one basis a number of times and runs his own training sessions on kata application. To help his students internalise the applications he teaches for Kushanku (Kanku-Dai) Matthew developed a two-man drill which involves performing the entire kata – progressing from the start to the end – with a partner. Matthew wrote a book on this two man drill, and how to structure such drills for other kata, called “Fighting Forms” (available from the shopping side of this website). In this article Matthew discusses the nature of kata, explores its benefits and looks at the possible contradictions presented by the various approaches to kata. It's a strong, though-provoking piece which I feel sure you will all enjoy. The term, “zero sum game” comes from a somewhat obscure branch of mathematics referred to as gaming theory – but the term has come to be used outside of this since it sums up a very common concept. There is a tendency to apply this approach, even subconsciously, to many aspects of the martial arts. Sparring is the classic case of this; in most situations, people spar in an attempt to win, thus generating a loser by default and creating a zero sum game. The same is true in a genuine physical confrontation; you win by disabling your opponent, thus making them the loser. In both of these cases, the “zero sum game” is a restriction that is applied by the people involved; sparring can be viewed as an exchange of techniques where you test each other, and both develop. Similarly, you can both “win” in a genuine confrontation. As a skilled martial artist, you may have the choice to prevent a violent aggressor causing harm, in a way that does them a minimum of harm; or you may have the choice to walk away before the confrontation escalates. Both options destroy the win/lose balance of the situation. • is it an exercise? • is it moving meditation? • is it a method for recording a fighting style? • does every move have a fighting application? • what is the correct application for each move? Often, there is a belief that only one explanation is right – but that does not have to be the case. It is possible to view any or all of these options as correct or incorrect, and have them exist quite happily side by side. Moving down the list above as an example, kata is quite clearly exercise. It raises the pulse rate, causes the use of a wide variety of muscle groups and demands coordination and skill to complete. The rhythmic and repetitious nature of Kata, coupled with its emphasis on body control, can make it a good moving meditation. 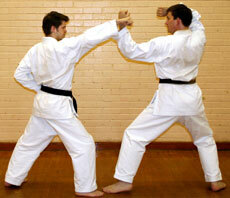 There are clear, historical references to kata being formulated to capture a particular fighting style. 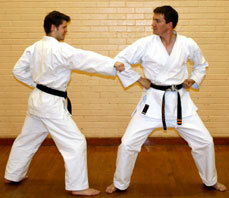 Kushanku and Chinto, for example, are both named after martial artists whose styles were recorded within the kata. Whether every move has a fighting application is up for grabs, though I can think of very few that cannot be used in application. It is the last point, however, that seems to cause the most discussion and heartache amongst martial artists, seeking a more pragmatic approach to kata than simply practising the solo form. This is usually interpreted as a reminder to treat karate as a martial art rather than exercise only – however, read neutrally it offers the practitioner the choice to treat it either way. This could be said to support the ‘sanitising' argument. Another, very interesting approach to this question is presented in the book. ‘Shotokan's Secret'. Here, Dr Bruce Clayton argues that the applications were traditionally secret, Karate being a method used by the bodyguards of the Okinawan king. When the King was deposed, the bodyguards had to maintain their vow of secrecy, but be prepared for the King's return should it happen. 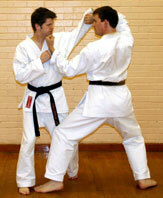 This resulted in them teaching the form without the application to the next generation of Karateka. The application would have been added should the King return – but this never happened. I would like to offer a third explanation, that returns to the topic of this article – the “zero sum game”. If kata application is not a “zero sum game”, and therefore there is no one true application, then perhaps this is why the founders and guardians of the traditional forms did not go into detail and record any. To provide an application would tend to mean that many people took this at face value, assumed it was the only correct one and that others were by definition wrong, and therefore see only a single aspect of a multifaceted movement. This is the classic trap of wrongly assuming a “zero sum game”. The parallel between language and karate – the basics as the alphabet, combinations as words – is one I have used before, and can again be used here. If Kata are the works of great literature, then consider the attributes that are usually looked for in that field; great literature usually offers depth of meaning that provides the reader with the space for interpretation within the structures of the story. Repeated reading provides new and different ways of looking at the same work. This same depth, however, leads to interminable debate about what the author really meant, and whether they intentionally or unintentionally included a particular interpretation. Often the authors themselves stay relatively quiet on this subject, or are not around to ask anyway. The parallels with Kata are obvious. So, how do we avoid this trap in examining Kata? The first and most significant question to ask is why you are practising – since the analysis must fit the motivation. It is surprising how many people never stop to ask this question in their martial arts practise, and to ensure that their methods agree with their aim. The Japanese approach to Kata, emphasising perfection of the form over application, has been greatly criticised over recent years – since it does not translate well into self defence application. However, I would argue that much of this is based upon a false premise. 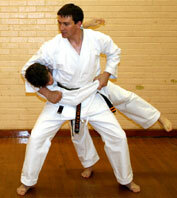 The criticism is valid – if it is being claimed that the purpose of training the Kata in this way is for self defence. The ‘Do' arts of which I am aware share a common facet that the perfection of the form is the point of them – few would argue that the Tea Ceremony is the most pragmatic approach to making a brew! The disagreement is therefore not with the practise of kata for this reason, but rather with any claims made that it leads to robust self-defence skills. Many other criticisms of martial arts in general and Kata in particular stem from this sort of false assumption – few people practise Tai Chi in the West as self-defense, so denigrating it on these grounds seems a little harsh to say the least. If, on the other hand, your intention is to practise Kata with application in mind, then the Japanese Karate or western Tai Chi approach is probably not the right analysis for you. The more clearly you can define what you are performing the Kata for, the better you will be able to fit your practise method to this aim. However, even here the “zero sum game” trap is easy to fall into – do not look just for a single motivation when a number may apply. Personally, I practise kata for a number of reasons – application certainly, but also as a less boring exercise than press-ups, to hone skills for their own sake, and simply because I enjoy it. In conclusion, if the kata authors were the equivalent of great writers, then perhaps there intention was to be deliberately vague, whilst conveying the structure within which we should be working. This lack of clear application provides the space in which each martial artist can develop the techniques and approaches that suit them, their situation and physical attributes. It is only once we try and treat this as a zero sum game, with one right answer, that this approach breaks down. A number of authors have written well about this approach to kata applications, most notably Rick Clark in '75 down blocks' and Dan Anderson in “The Anatomy of Motion: Combat Analysis of Traditional Karate Kata.” I would urge anyone interested in exploring this area further to read these two excellent books. In this first part of the article, the general problems associated with treating kata as a zero sum game have been examined; in the second and final part (which will be placed in the Guest Writer's section soon), I will be moving into the specific area of the zero sum game in kata applications, and presenting a number of examples from Pinan Nidan / Heian Shodan to illustrate this.